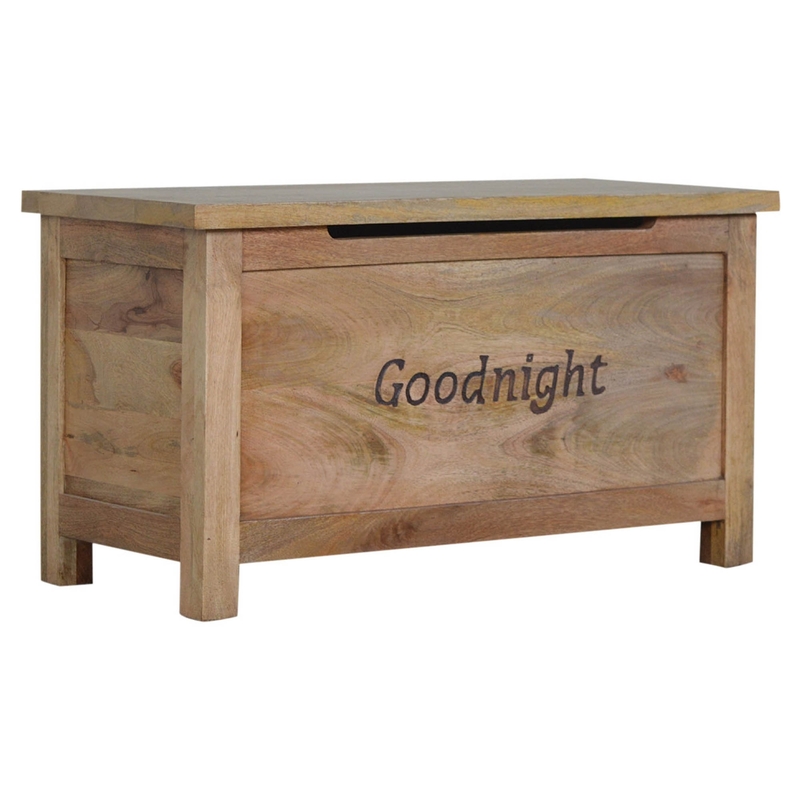 Expertly handcrafted, this blanket box will look beautiful in your home. With an engraved 'Goodnight' on the front side of the blanket box, it just adds to the overall charm of this oak effect finished box. Offering storage for bedroom clutter such as bed sheets and duvet covers, this would be a welcomed addition to any home.